Kim Hyun-hee, the surviving bomber of Korean Air flight 858, told Japanese broadcaster NHK on Thursday that Yaeko Taguchi, who was abducted when she was 22, was indeed the woman known as Lee Eun-hae who taught Japanese to the former North Korean agent. Kim said North Korea's claim that Taguchi died in 1986 was probably a lie. Speaking in Japanese, Kim said there had been attempts in the last five years to undermine the facts of the bombing, including by reports challenging her identity and Taguchi's. But Kim said the two had grown close over the two years they were together, forming a relationship "that transcended nationalities." Taguchi, a single mother of two small children, went missing in 1978. Kim said Taguchi often wept when telling her how much she missed her children. She said she saw Taguchi's son on a news program five years ago and there was no denying the resemblance, especially the eyes. 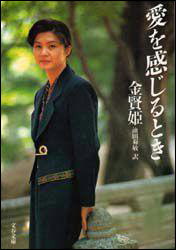 Regarding North Korea's claim in talks with Japan in 2002 that Taguchi had died, Kim said she believes the communist country is hiding the truth for fear that sending back a Japanese abduction victim with knowledge of North Korean state secrets could expose Pyongyang's clandestine organizations and their secret agents. Kim said she had no doubt in her mind that Taguchi is still alive and wants to meet her family and told them not to lose hope. She expressed hope to meet Taguchi's son and tell him about his mother. Koichiro Iizuka(32), wrote to Japan's Foreign Ministry in 2004 expressing his desire to meet Kim. A meeting between Kim and Iizuka is therefore likely soon. This was the first interview Kim has given since her marriage in 1997.